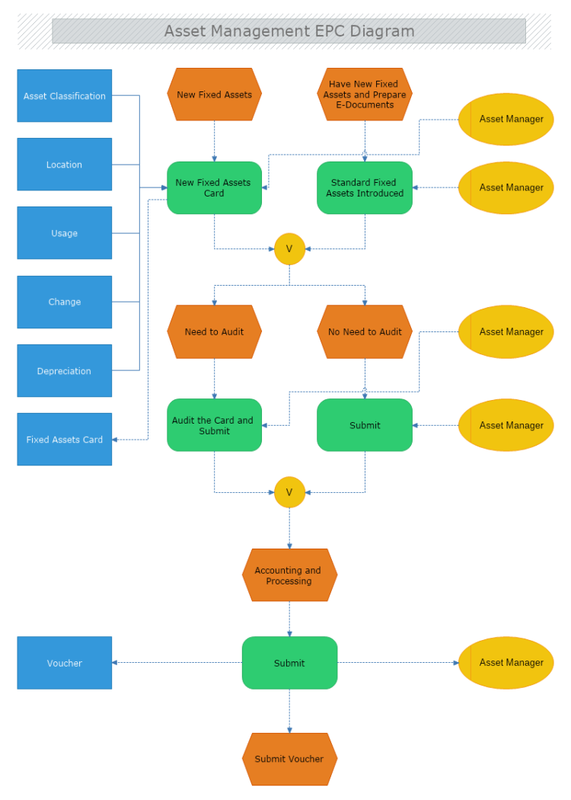 Download this Asset Management EPC diagram template and start creating EPC diagrams with MyDraw. When you open the EPC diagram template, the EPC symbols library will open in the library browser. You can easily create a new EPC diagram by dragging symbols from the EPC shapes library.